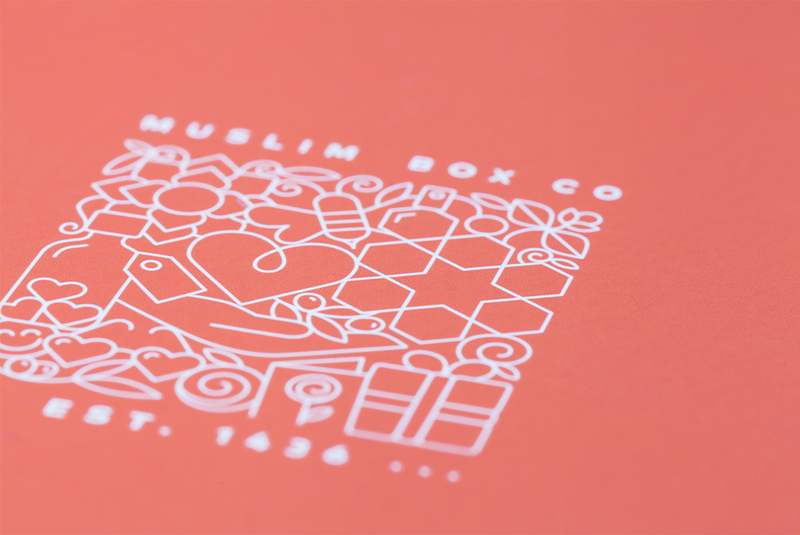 The main core focus of this brand is to encouraging the deep set Muslim tradition of gift giving. 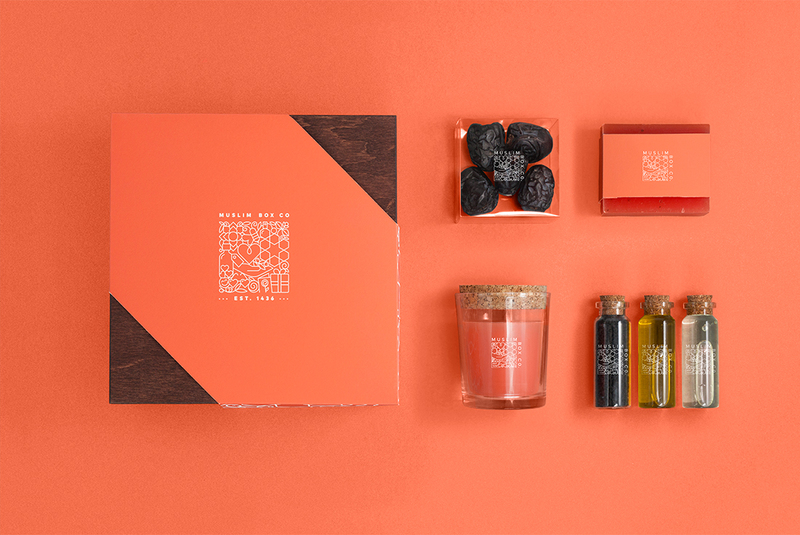 We were tasked with the job of creating the Brand’s Identity, conceptualising the individual products, and designing their packaging. 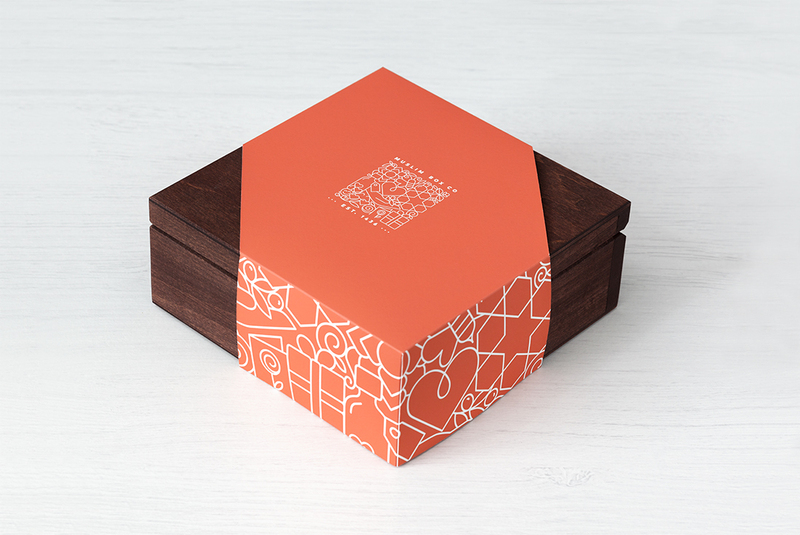 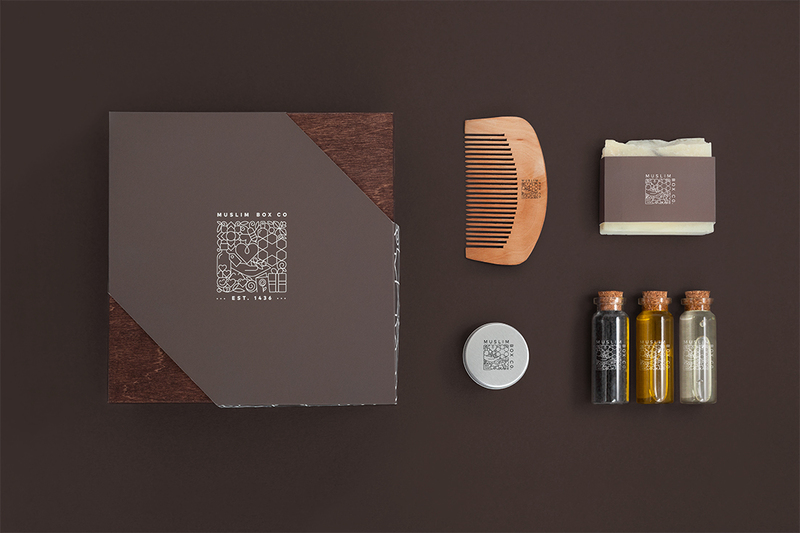 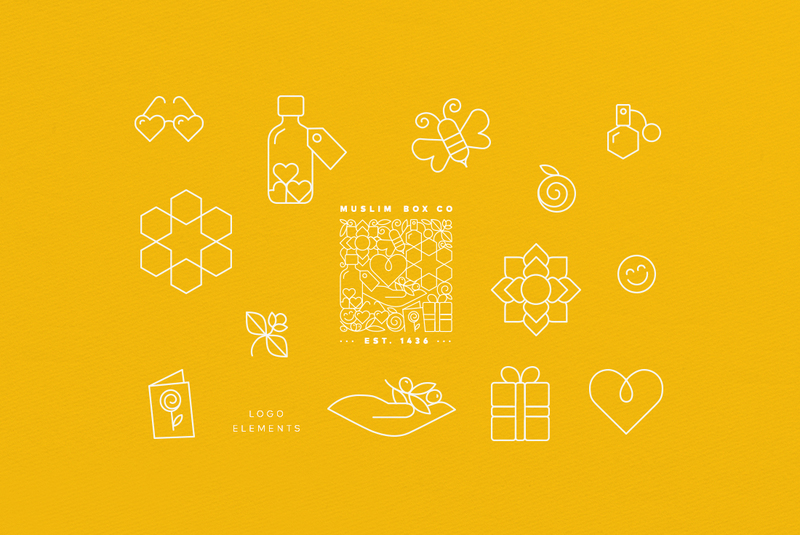 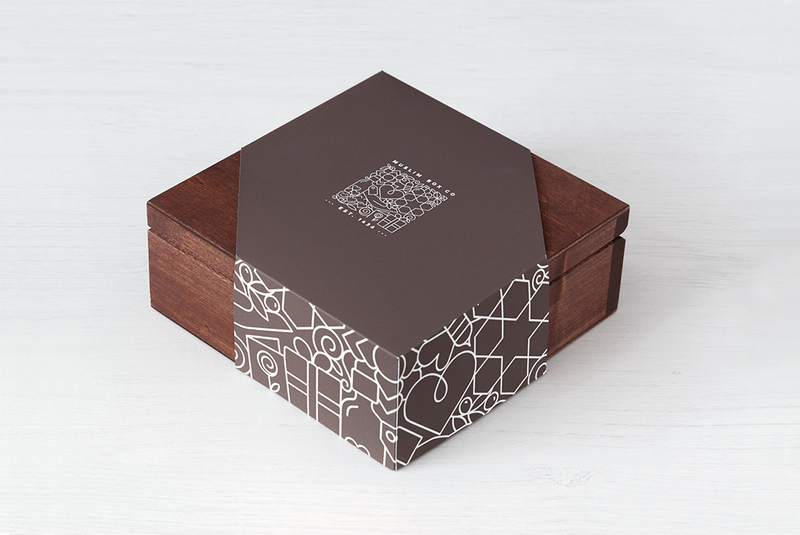 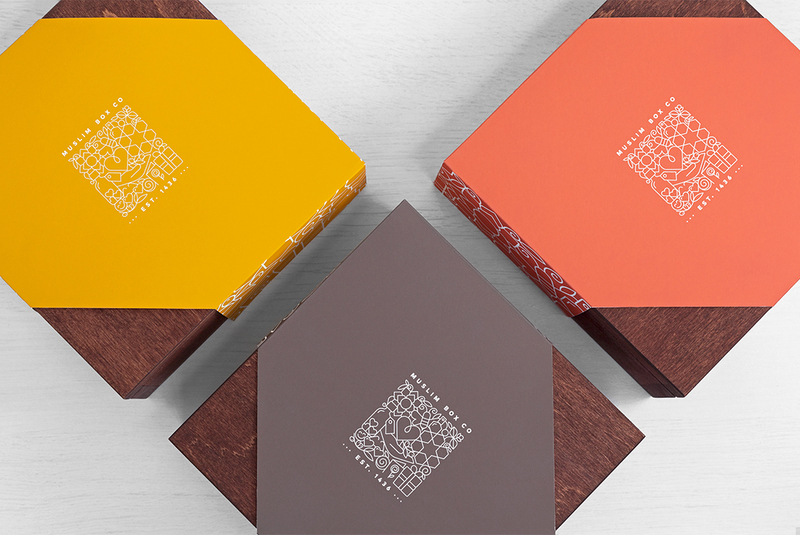 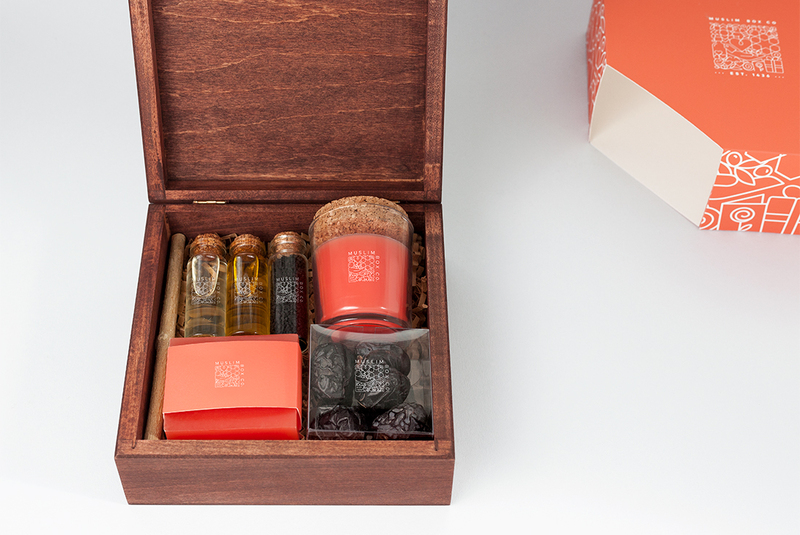 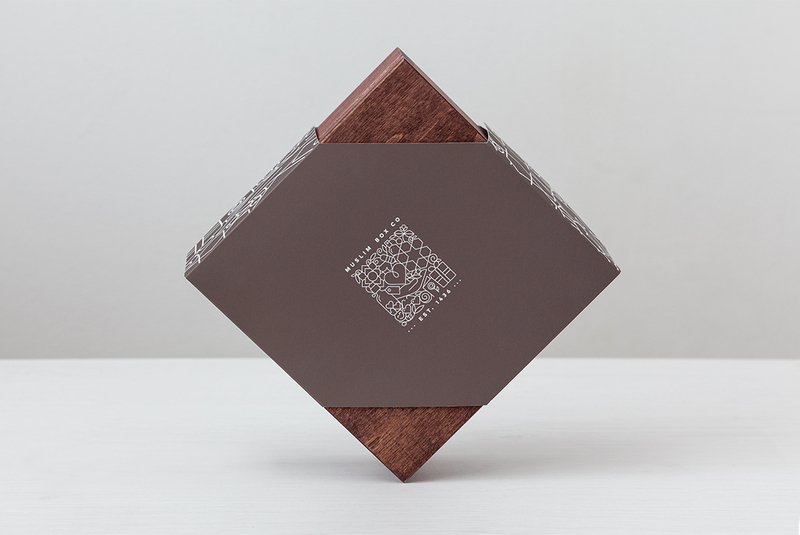 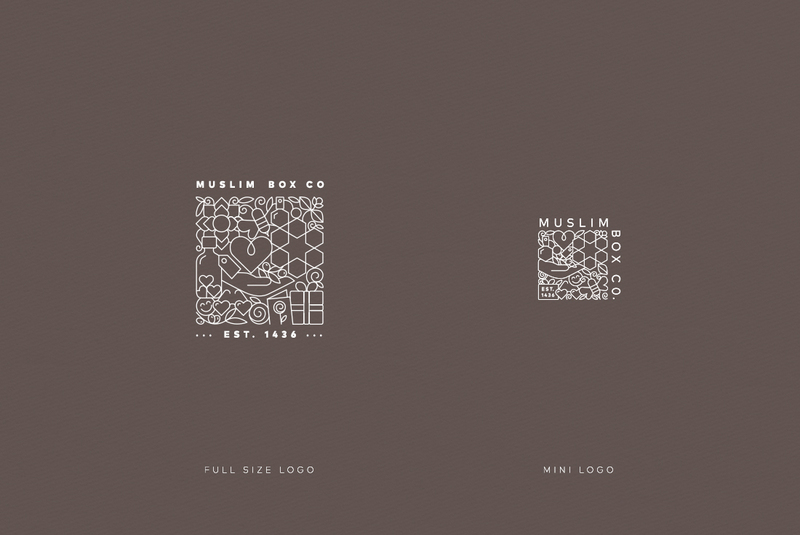 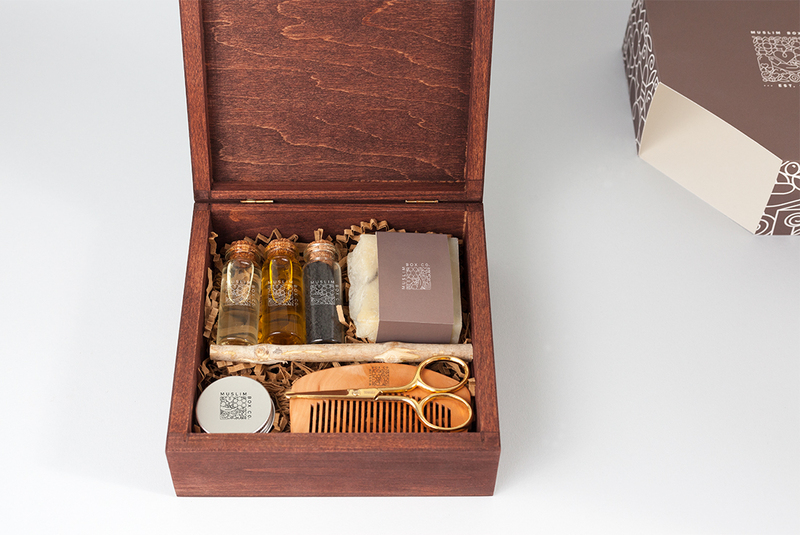 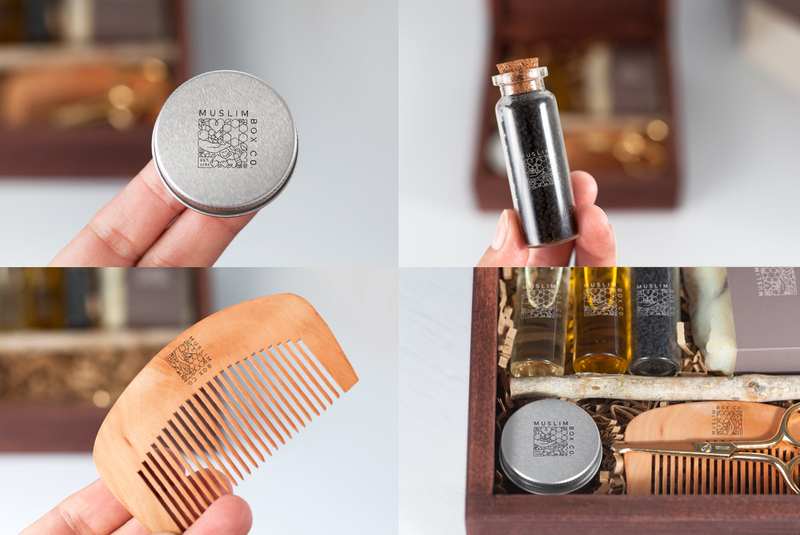 The Muslim Box Co. gift box series. 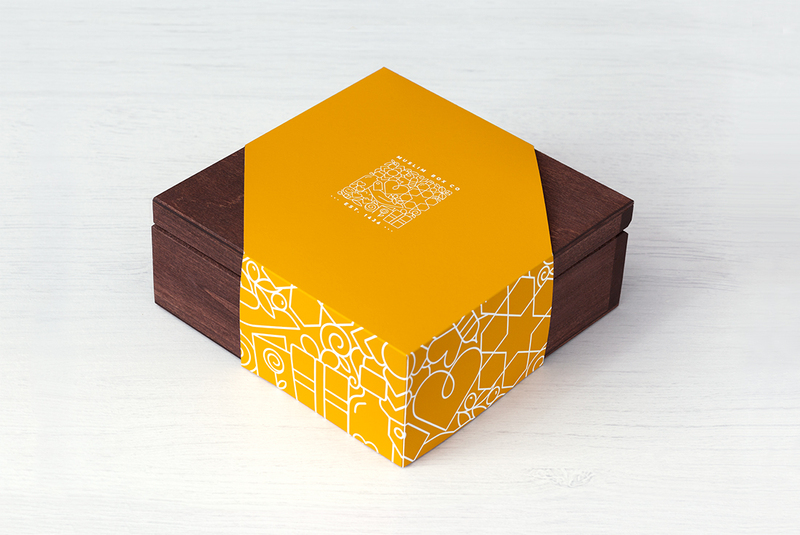 is a collection of 3 wooden gift boxes, each targeted to a specific market. 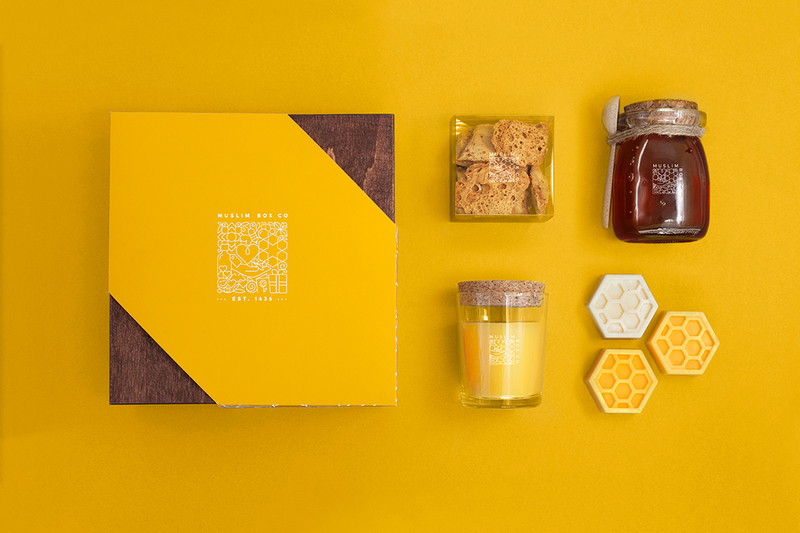 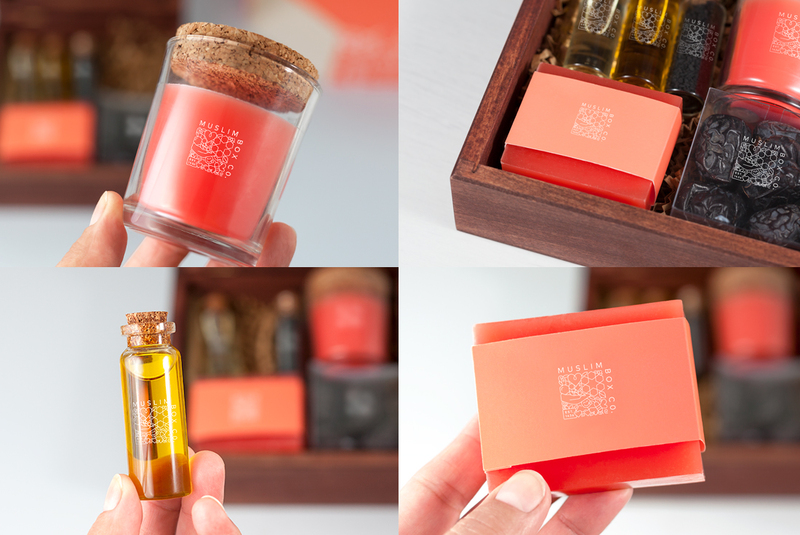 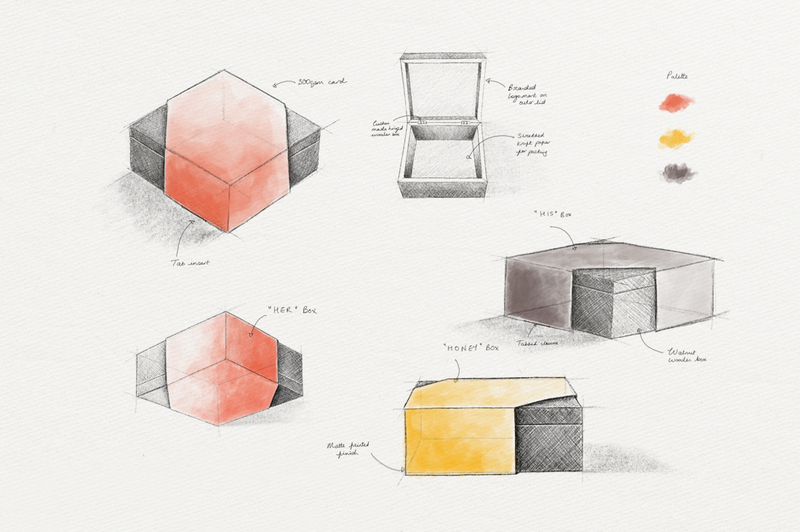 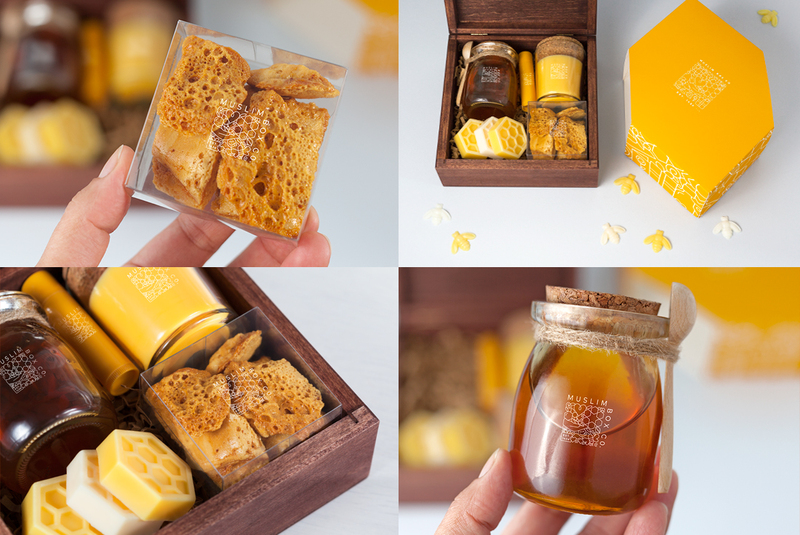 We chose to name these boxes, “HIS, “HERS” & “HONEY” to create a synced and punchy theme. 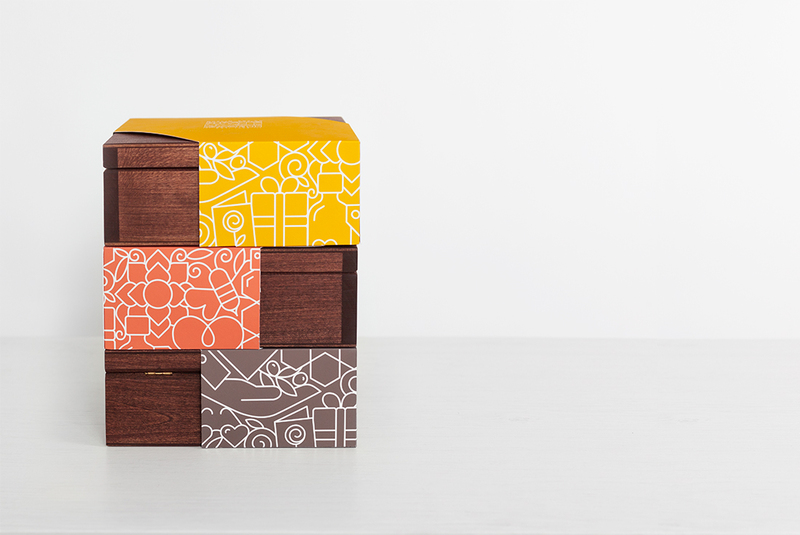 From the outset, we identified that a fresh, current and bold packaging design would benefit this brand’s ambitious goals. 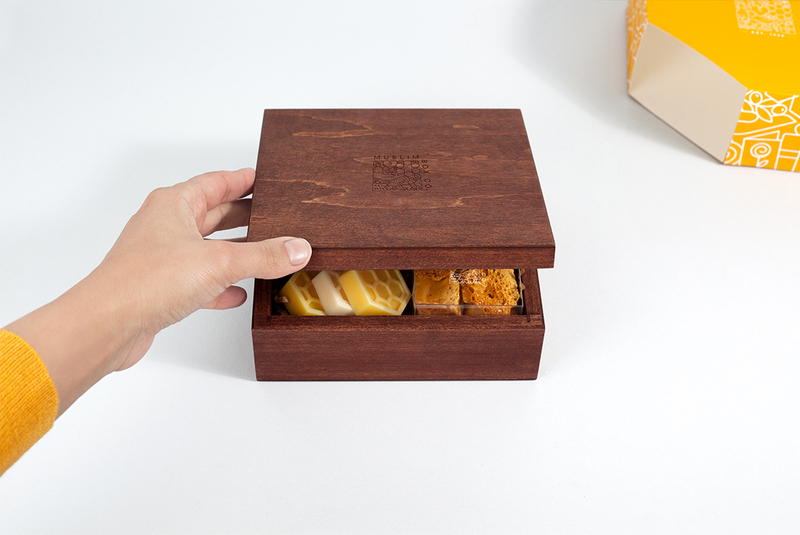 The design is therefore unique to this niche market, and deliberately built to catch attention. 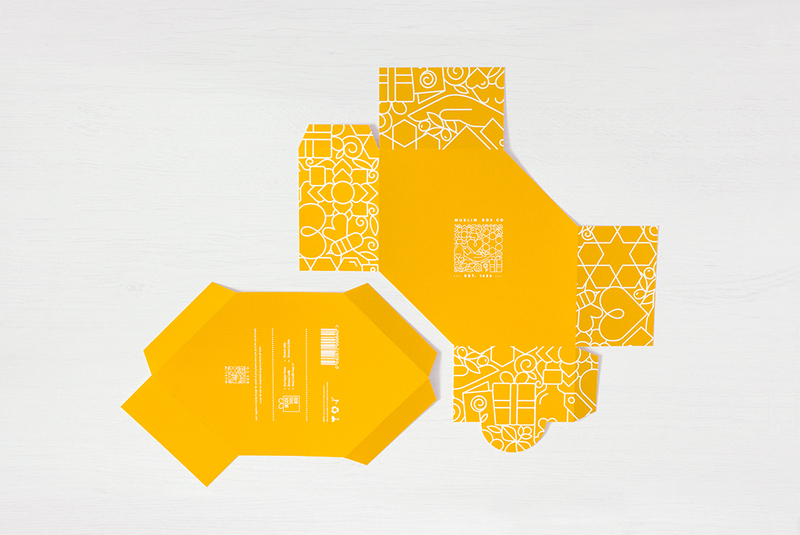 We started by creating illustrations inspired by the visual and sensory aspects of the products. 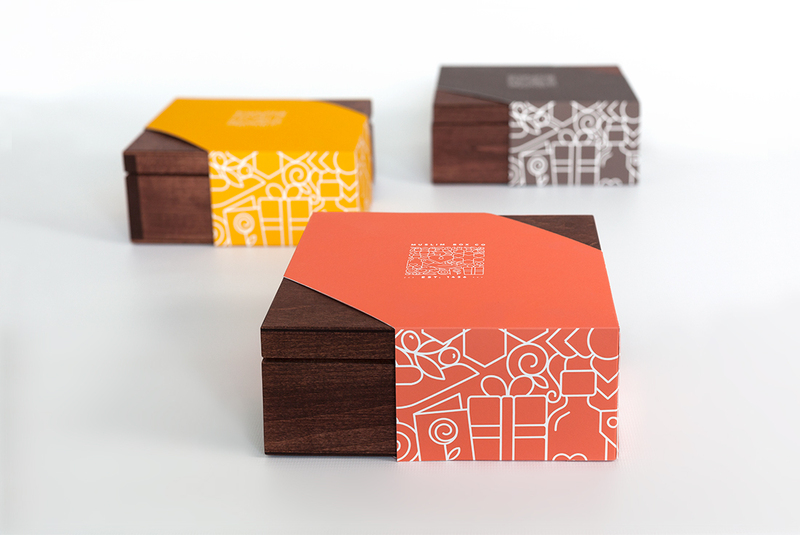 These illustrations were then put together to create the larger logomark, in an overall square shape, representing a “box”. 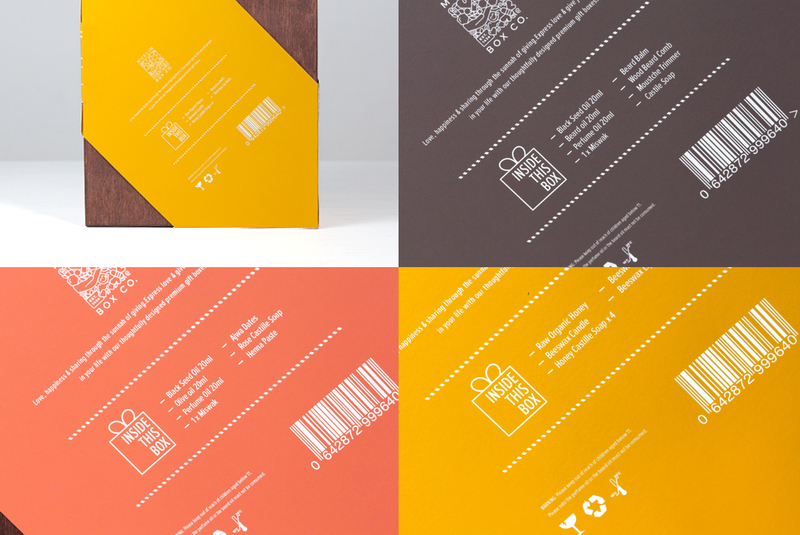 A smaller, scaled down or “responsive” version was also created for application to smaller products. 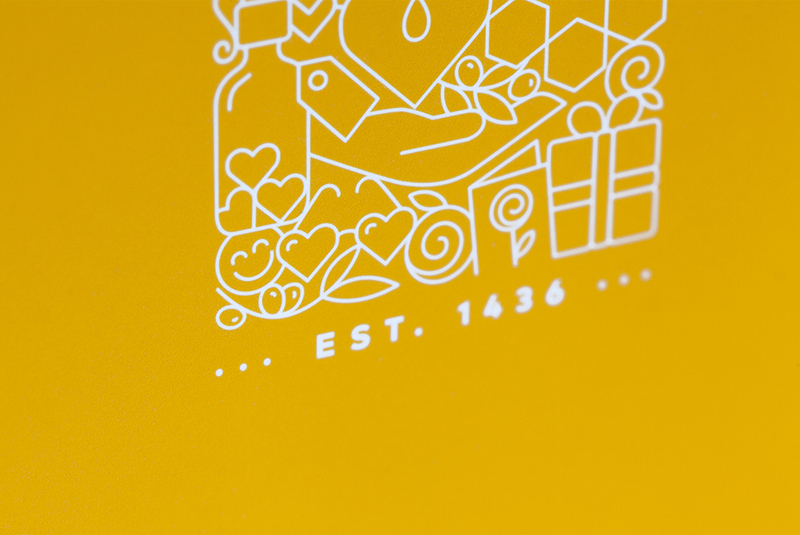 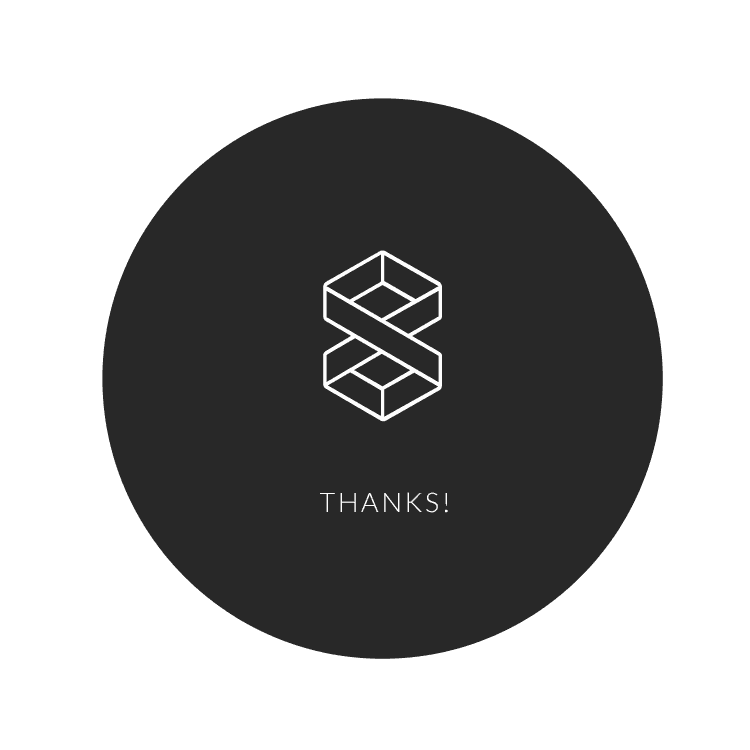 The mark can be thus broken down into it’s component illustrations, which can be used individually across relevant marketing collateral. 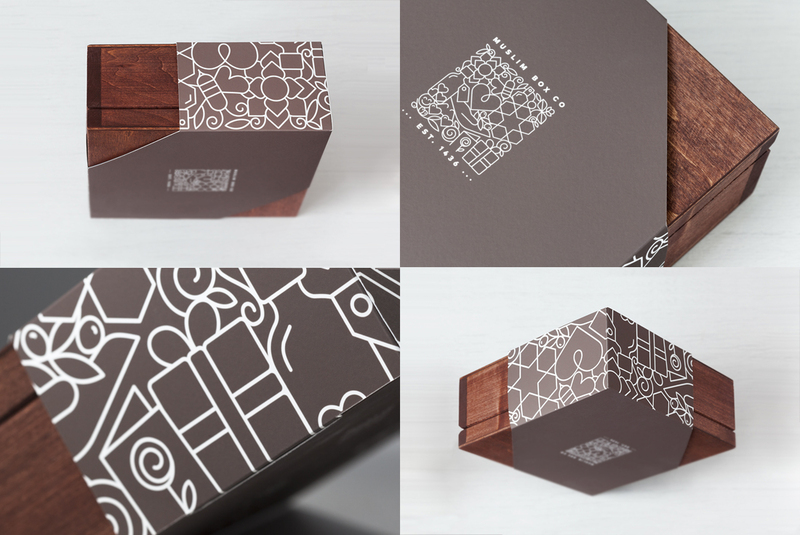 We fulfilled the client’s vision in an effective packaging design that has so far caught a lot of attention. 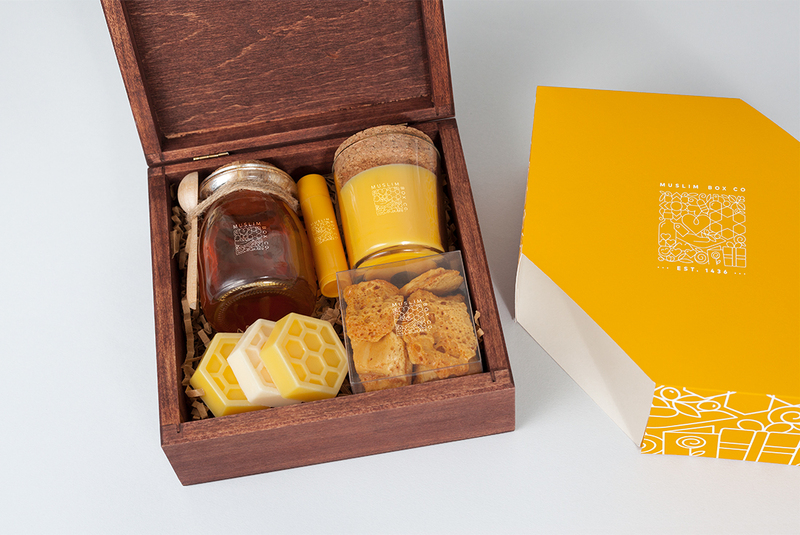 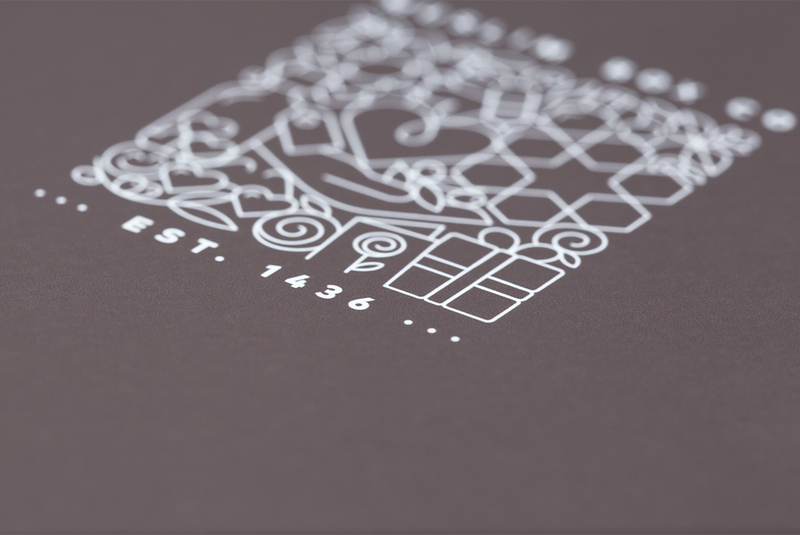 This project was featured on World Packaging Design Society.